A friend of mine ordered the seeds for these beauties and graciously sold me some. I can’t remember where she ordered them so hoping she will comment after the post. While watering my garden yesterday I noticed that one of the beets was ready to pull. I decided to pull it this morning and juice it. It was so pretty when I sliced it open and it didn’t seem to be as sweet as the red variety. Beets are great for your health. They have dietary fiber, vitamin C, magnesium, iron, copper and is a source of beneficial flavonoids. Beet fiber helps to reduce cholesterol and triglycerides and stimulates liver function. There is a precaution: Beets contain oxalates, which can cause issues for people who have kidney or gallbladder problems. 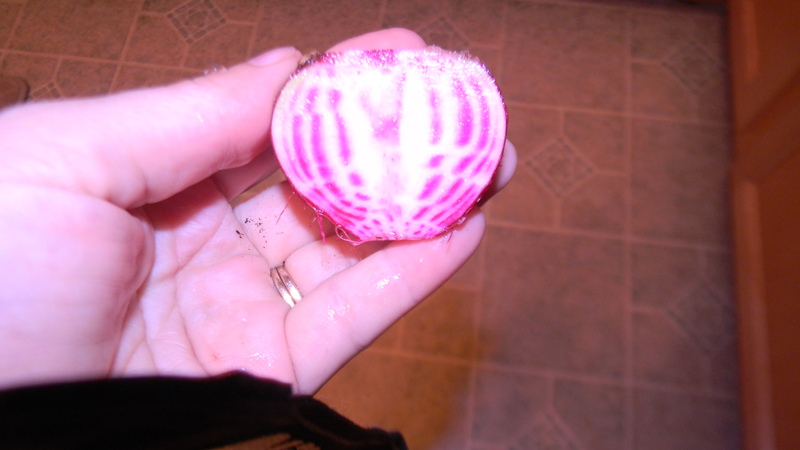 Here is a website with good information on growing beets. I am growing mine among my strawberries. 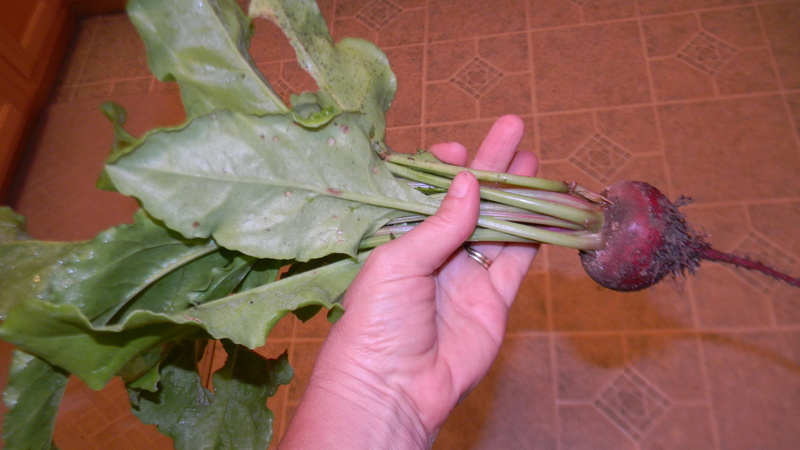 This entry was posted in Gardening, Posts and tagged Beets, Candy Stripe Beets, growing beets. Bookmark the permalink. Beautiful! Mine did not mature. That is a beauty…do you remember when you planted the seeds? I didn’t write it down but think it said 60 days in the link I posted.